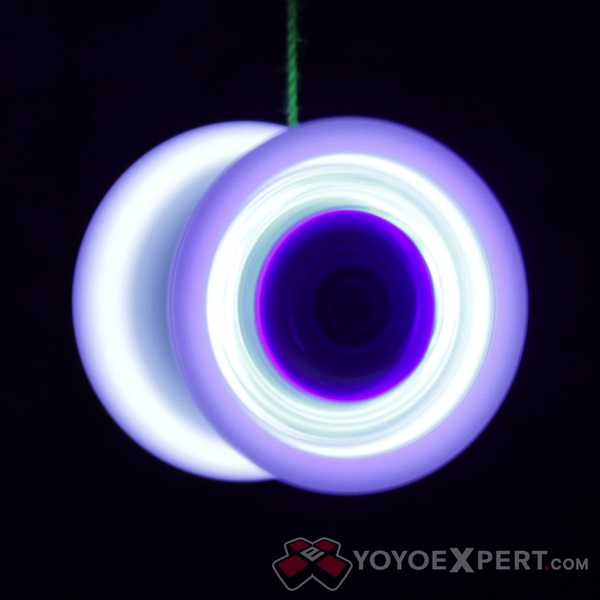 YoYoExpert Blog & Yo-Yo News – USB Rechargeable Light Up Yo-Yo! 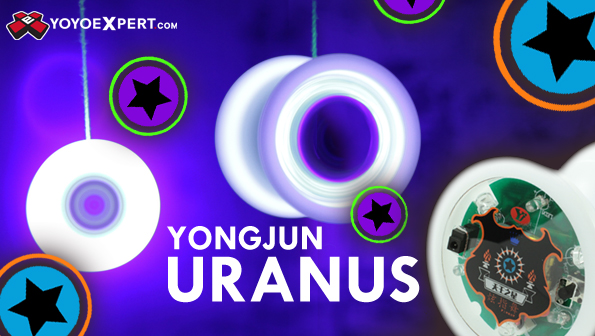 The YongJun Uranus! Now, imagine if you never had to replace those batteries, imagine if you could just plug your yo-yo into any USB port and recharge it! That’s the beauty of the YongJun Uranus! Just plug it in with the supplied USB charger and your back to impressing people with your light-up yo-yo skills in no time! The rechargeable feature is impressive in itself, but what’s even more impressive is how shockingly bright the YongJun Uranus shines, we’ve never seen a light up yo-yo this bright! It has 6 LEDs on each side, 3 white and 3 blue, that can be set to just white, just blue, or both with the press of a button! Yeah, this yo-yo has buttons! And even with the LEDs turned off the YongJun Uranus shines! This yo-yo has a great design; extra wide and a little on the heavier side, but once you throw it you’ll feel that extra weight play to your advantage. The Uranus plays extremely stable, has excellent spin time, and can move as fast as you need to nail that new combo! This is the perfect yo-yo for any yo-yo performer or enthusiast looking to step up their game. Pick up the YongJun Uranus, hit the lights, and let your freestyle shine!